A poor potato harvest in Europe this summer could mean French fries are up to three centimeters shorter than usual. The poor harvest is because of the very hot summer Europe had. There were record hot temperatures in many countries. The heatwave caused a lack of rain, which meant farmers produced a lot fewer potatoes than they normally do. Pierre Lebrun, a spokesman from a potato growers' association in Belgium, said farmers grew 25 per cent fewer potatoes than normal. The effect of this is that potato prices are up and the average size of potatoes is smaller. Mr Lebrun said: "Because the potatoes are smaller at the moment, we will all be eating smaller chips." Belgium is one country where the potato shortage is a big talking point. Fries are the national dish in Belgium. The country has over 5,000 eateries specializing in fries. Belgians love their fries so much that there is a campaign to rename them "Belgian fries" instead of "French fries" because Belgians say the fry was invented in their country. 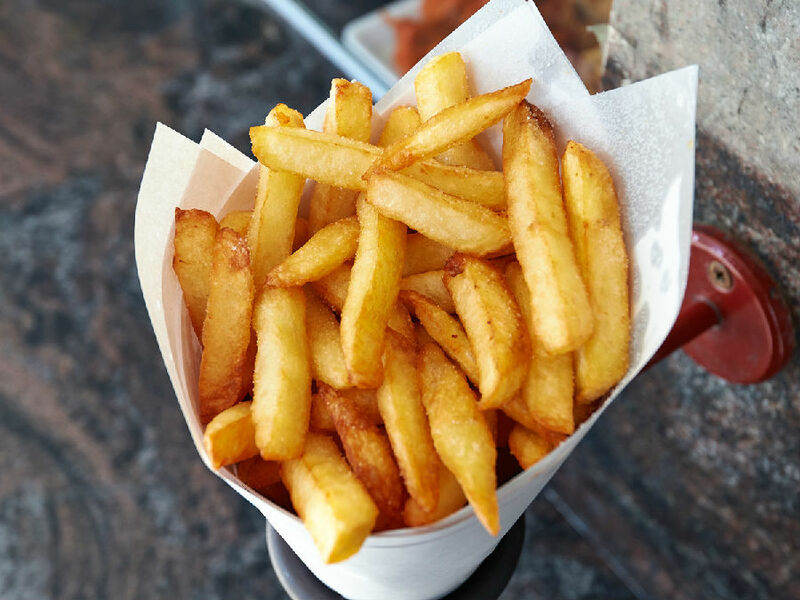 Belgium is one of the largest exporters of frozen fries in the world. It exports around 2.3 million tons of them every year. Mr Lebron explained why fries would be shorter. He said: "Generally, to have long fries, we work with potatoes with a diameter of more than 50mm. Then you get fries of 8 to 9 cm. This time, as the potatoes are smaller, the fries will be shorter." 1.The heatwave caused a lack of rain, which meant farmers produced a lot fewer potatoes than they normally do. 2.Belgium is one country where the potato shortage is a big talking point. It's bound to be the main talking point during discussions between the Prime Minister and the President.